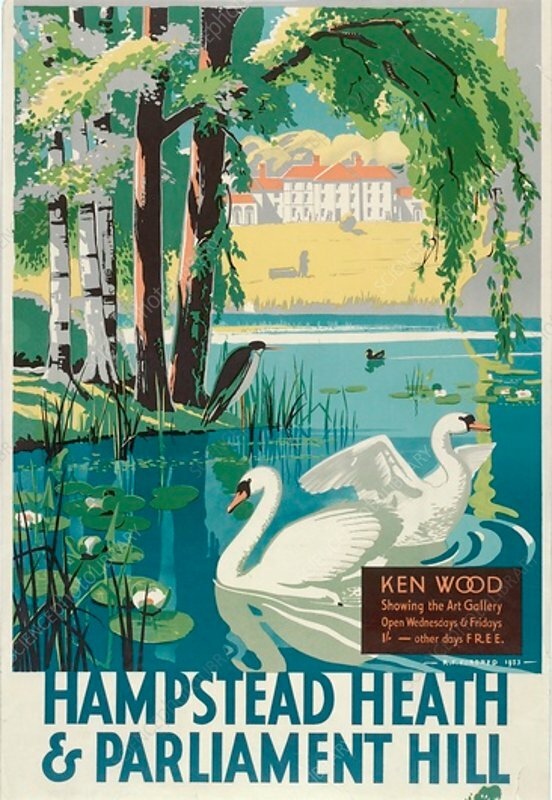 Hampstead Heath and Parliament Hill', London County Council (LCC) Tramways poster, 1933. Showing a view of Kenwood House with two swans on the lake in the foreground. A heron watches from the lakeside in the middle distance.